FCR, the premier provider of outsourced live agent call center and business process solutions, was recently honored as one of Oregon’s Fastest Growing Companies by the Portland Business Journal. 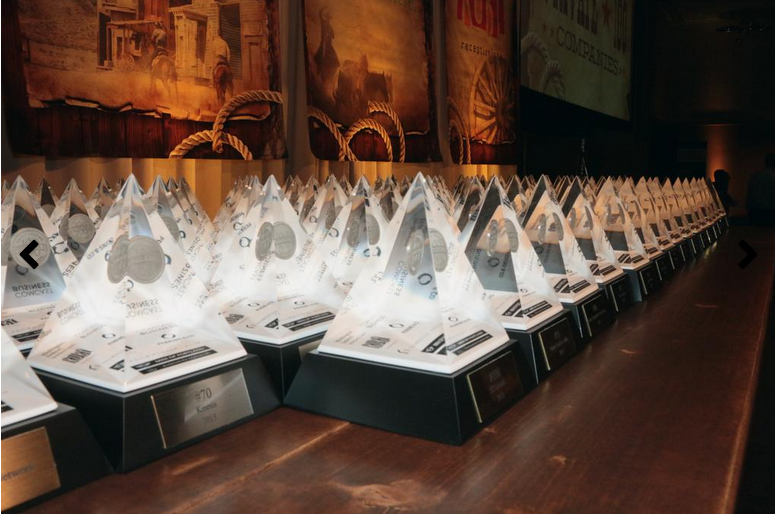 This marks the second consecutive year the company has been honored among a select group of private companies in Oregon considered the fastest growing in the state. The company was ranked 50th overall this year in the Top 100 companies, moving up from its ranking of 68th from just one year ago. The growth rate of the Top 100 companies was measured over the past two years, ending in December 31, 2014. FCR grew by 113% over the two year period, and produced $36.8 million in revenues in 2014. The company also provided careers to over 1,300 colleagues in five communities that include Roseburg, Grants Pass, Coos Bay, Veneta, and Eugene. FCR continues its rapid rate of growth as it plans to open its sixth call center in July in the town of Independence, Oregon. The Top 100 companies were recognized at a banquet at the Hilton Hotel in downtown Portland on the night of Wednesday, June 17th. The packed crowd included nearly 900 business leaders who were there to learn which companies were the region’s fastest-growing. The Portland Business Journal’s annual Fastest-Growing Private 100 Companies (or PBJ100 for short) event honors privately held businesses that demonstrate the highest revenue growth rate over the last two years. The minimum threshold to make the top 100 was, at 51.5%, the highest ever, and FCR’s revenue growth came in at 113% over the two year period.